The United States is experiencing unprecedented growth in its elderly population. As Americans live longer and cope with chronic health conditions, the need for long term services and support has increased. A newly released report, Understaffed and Overworked: Poor Working Conditions And Quality of Care in Residential Care Facilities for the Elderly, explores how the structural and exploitative nature of working conditions in Residential Care Facilities for the Elderly (RCFE) in California contributes to poor quality of care and life outcomes for residents. The report found that abuse, neglect and overall poor quality of care and life for residents in RCFEs are results of structural systemic problems. Shortage of staff combined with long hours results in worker fatigue, which increases the risk for errors. “Working conditions are an integral and essential component to improving the caregiving industry,” said Chris Murphy, Executive Director of Consumer Advocates of RCFE Reform, one of the members of the Coalition. Quality of care and life in RCFEs cannot be improved without incorporating an effective strategy to improve the working conditions of caregivers. Both consumers and caregivers are disserved when workers are overworked and underpaid. There is an opportunity for shared alliance between consumers, their families and caregivers. A sustainable and fair work environment for caregivers in RCFEs, thus, is a health care necessity. “I take very much pride in my work of providing care to the elderly, sick, and people with physical and mental disabilities, but in order to provide the best care for them, workers like me should also have humane living and working conditions,” said Nelly, caregiver for 18 years. This report will be released on May 16, 2017 from 1-3 p.m. at a panel featuring workers in RCFEs and Coalition members at Golden Gate University School of Law, 536 Mission Street, Room 3201. The Coalition For a Fair and Equitable Caregiving Industry is made up of legal service providers, worker centers, unions, community-based nonprofit organizations and consumer advocates who are invested in reforming the caregiving industry to ensure that workers and consumers of care receive fair and equitable treatment. 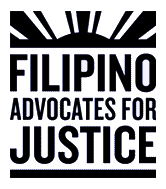 The Coalition includes the following organizations: Asian Americans Advancing Justice – Asian Law Caucus, Consumer Advocates for RCFE Reform, Filipino Advocates for Justice, Filipino Community Center, Katharine & George Alexander Community Law Center, Legal Aid at Work, Pilipino Association of Workers and Im/migrants, Pilipino Workers Center, Santa Clara County Wage Theft Coalition, SEIU Local 2015, and Women’s Employment Rights Clinic of Golden Gate University School of Law.